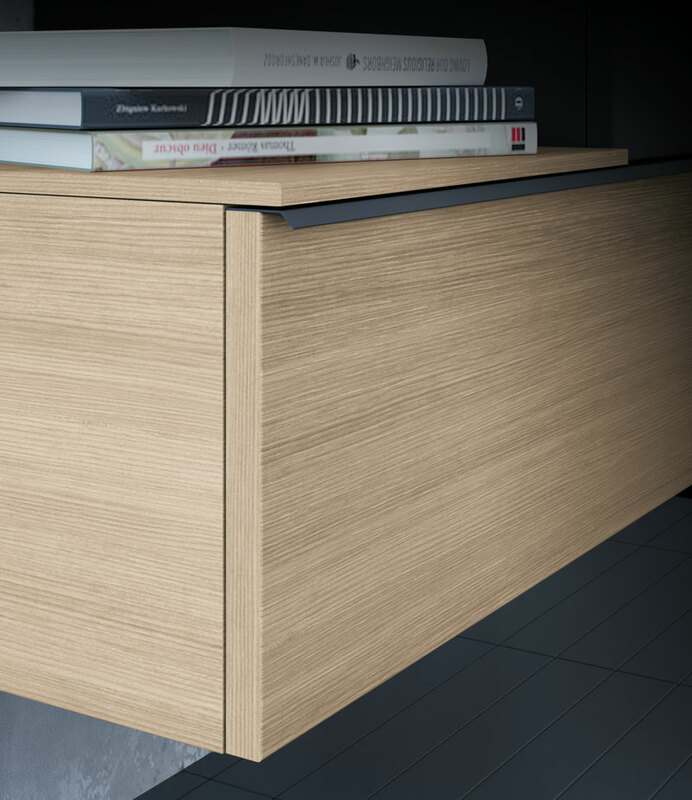 A highly practical solution with units stacked to create convenient new surfaces every time. 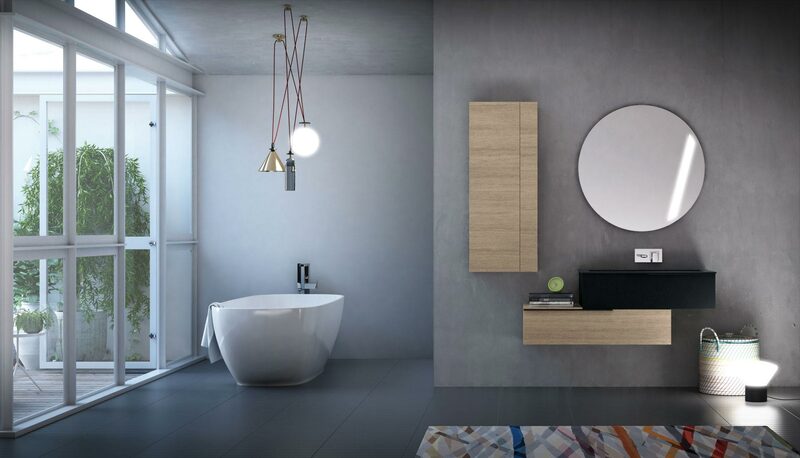 The closed wall unit is finished off with open shelving that sits flush against one side, facing the sink, while the staggered base units create additional set-down space. 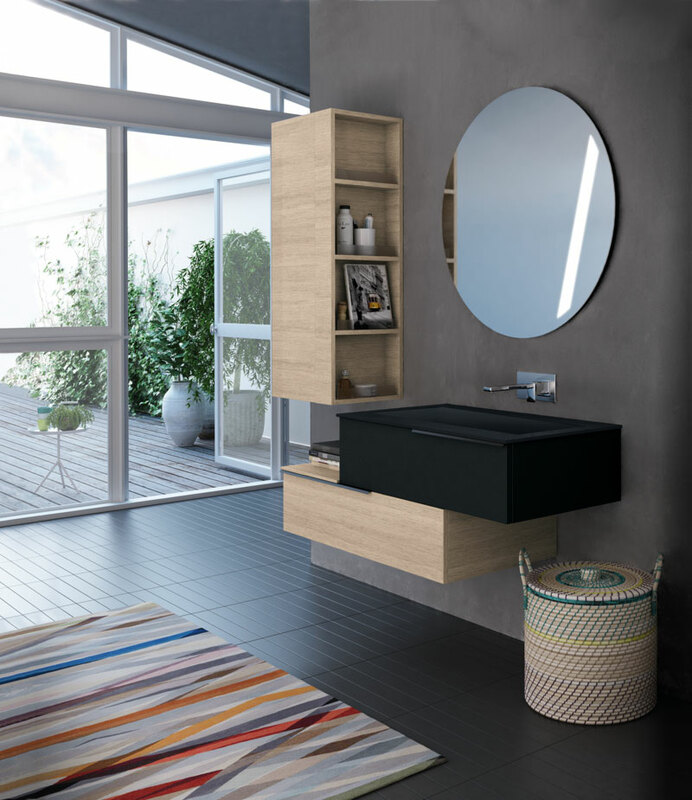 The black top with integrated basin is wonderfully elegant.